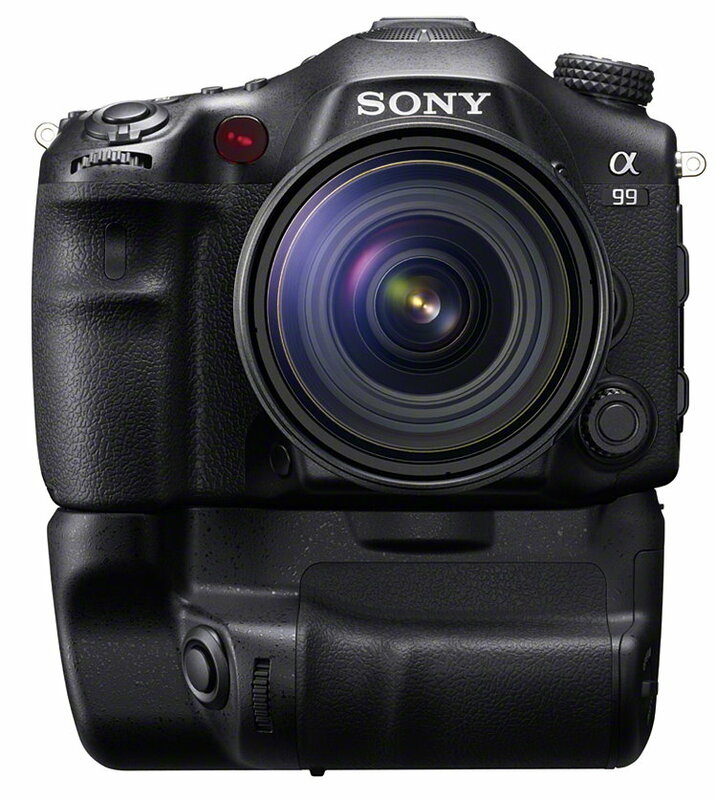 Sony has finally announced the successor to the powerful DSLR-A900, with the introduction of the Alpha SLT-A99. 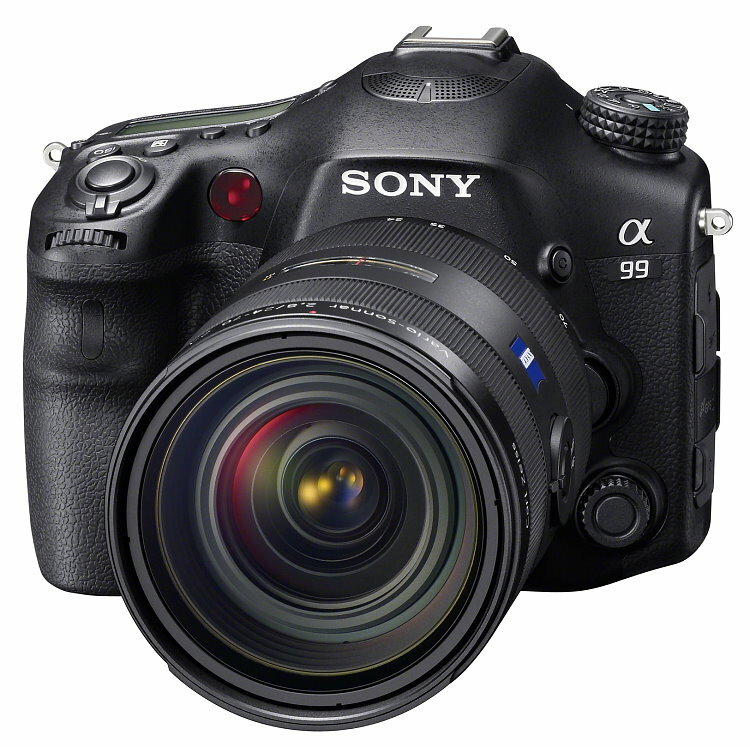 The most powerful dSLR Sony has created to date, the a99 is packed with their latest technologies, including a new 24.3-megapixel full-frame Exmor CMOS image sensor. 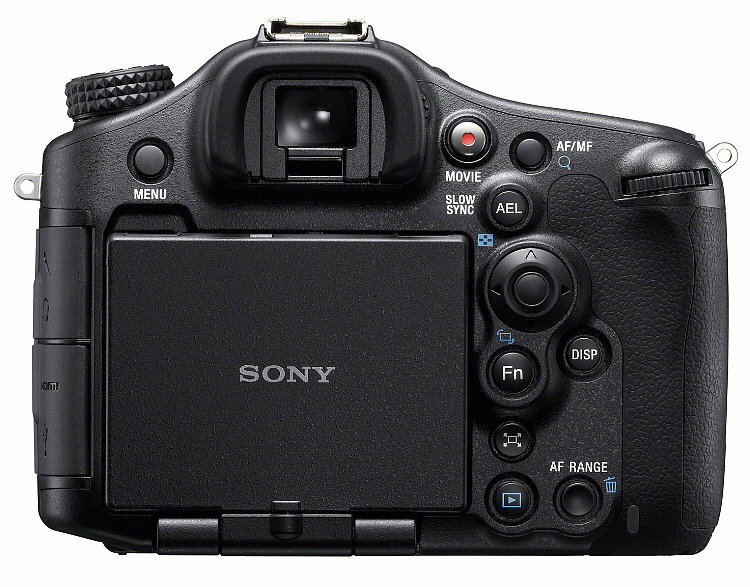 The full-frame sensor gives you a true 35mm field of view when using either Sony or Minolta A bayonet glass, along with greater control over depth of field, increased bokeh, etc. They claim this sensor, "realizes high resolution, wide dynamic range, and high ISO sensitivity for corner-to-corner high-quality images.". The standard sensitivity range is from 100 - 25,600 (expandable to ISO 50), and this new unit boasts three new sensor technologies. First, Light connection technology features a thinner wiring layer and on-chip lens colorfilter to help increase light efficiency, while Photodiode expansion technology allows for expanded receptor surface area. 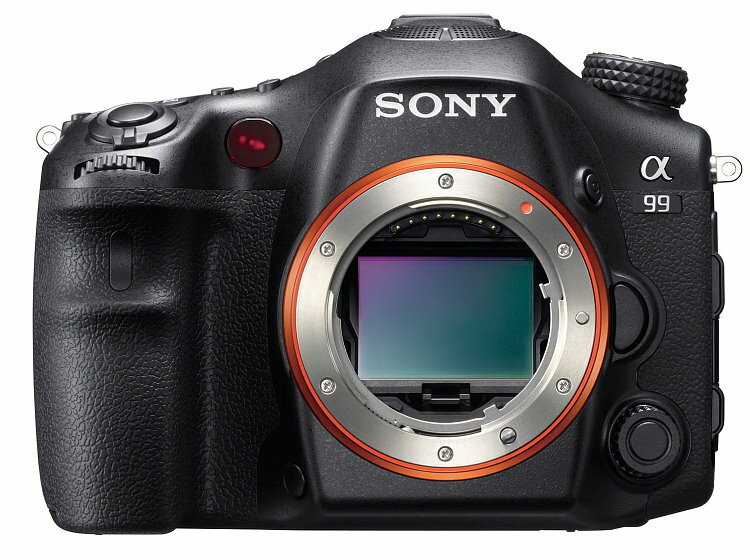 The sensor also boasts a new multi-segment optical low-pass filter; all of which further enhances the a99's ability to create beautiful, high-resolution images. On top of a new sensor, the a99 received an improved BIONZ processing engine to help the camera quickly digest the massive amount of information coming from the 24-megapixel full-frame image sensor. This processor offers a new high-speed front-end LSI to help speed up processing, 14-bit RAW output (8-bit JPEG), and area-specific noise reduction options. The shutter life has been raised to 200,000 cycles, and burst shooting can be realized at 6fps with continuous/tracking AF, or up to 10fps with single AF - both at full resolution. Another huge upgrade on the a99 is the new Dual AF system, with the a99 offering the World's first Dual AF system. It boasts two separate Phase Detection AF sensors - a 19-point (11 cross points) precision AF sensor combined with a 102-point Focal Plane Phase AF sensor; for a combined 121 active focus points. Sony claims this level of AF performance is only made possible thanks to their Translucent Mirror Technology. With this new system, Sony has added two new AF functions; AF-D Mode and AF Ragne Control. AF-D Mode is an advanced continuous AF mode that uses the 102 focal place assist area points to create a depth map to track subjects, while the precision 19-point AF sensors dial in crisp focus. AF range control allows you to set the range in which the AF system can operate, allowing you to reduce front and back focusing due to interference from objects in the foreground or background. Framing is accomplished with either the 3-way tilting, 3.0-inch Xtra Fine LCD screen (921k dots) screen, or the new Xtra OLED Tru-Finder. The Tru-Finder offers 2359k dots of resolution, a large and easy to view live image (regardless of lens used), Color tone adjustment, 100% coverage, and much more. 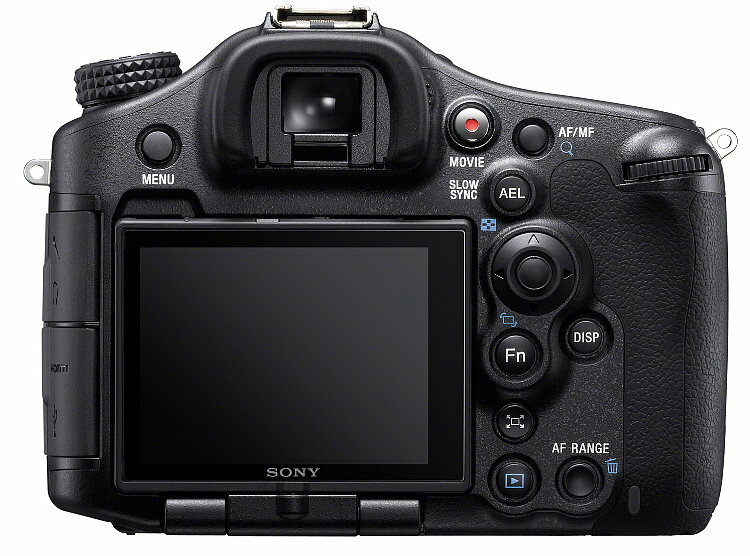 The a99 boasts a lighter body than the a900, at only 733 grams (compared to the 900 grams of the a900). 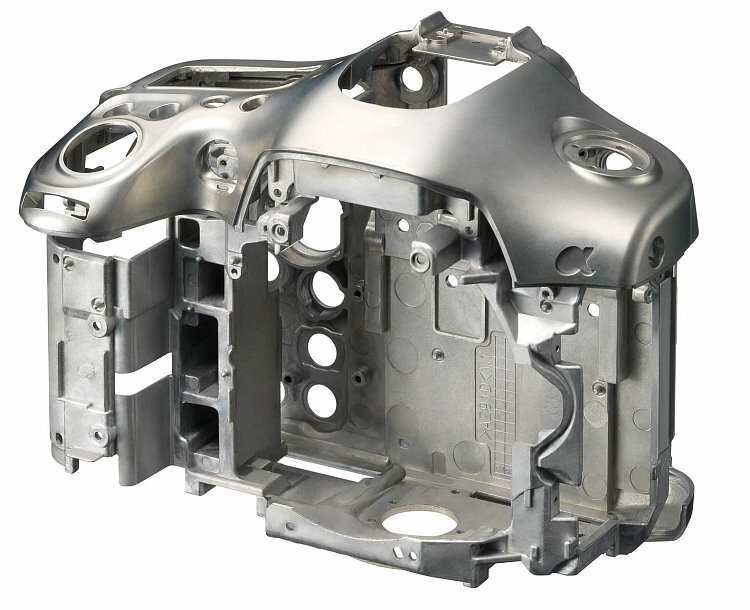 It still offers a rugged magnesium-ally chassis, that is dust and moisture resistant. 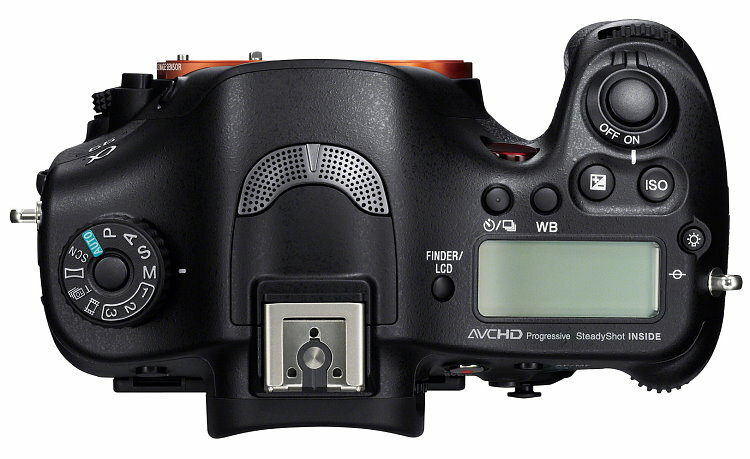 Various exposure options, including Automatic functions like Auto+, Auto HDR, etc.